Which are the best concert photography earplugs? When I was starting out as a concert photographer, I always thought it was cool to be in the photo pit without any earplugs or hearing protection. I loved the loud music, being in the pit in front of the speakers. I saw the security guys wearing those yellow foam earplugs, but how uncool was that?! After the concerts, my ears were always ringing, but it’s Rock n Roll, right? I was very wrong and if you´re someone who thinks the same way I did, this article is for you. I first came into contact with the topic of hearing damage when I read that musicians such as Neil Young, Bono, Thom York and Sting suffer from Tinnitus. Spending over 30 minutes in a noisy club where you need to shout to hold a conversation could already be damaging your hearing. We all know that holding a conversation during a Rock concert is almost impossible which is why it can be dangerous to your ears. The safe and statutory limit to which your ears may be exposed is 80 decibels (dB). Regular noise above 80 dB will lead to irreversible hearing damage. For instance, at concerts, noise levels of up to 120 dB can sometimes be measured. For rock musicians, the harmful levels of noise are mainly produced by the drums and the amplifiers. Now we know that we need to protect our ears to avoid tinnitus and hearing damage at concerts, the question is, which earplugs work best? I am a former researcher and I love doing experiments. Therefore, I decided to test some different earplug brands on the market in a concert photography environment. The following earplug review is by no means meant to be a scientific essay, nor do I have the knowledge to discuss technical aspects in the way audio engineers can. I have tried my best to give you an overview of the most commonly used earplug brands concert photographers use. Remember, it’s not about which brand you choose, it´s way more important that you´re actually wearing earplugs! I got the earplugs from the companies for review purposes and I have no affiliation with them. This review reflects my personal opinion. Here’s an overview of the different types of earplugs. These types of earplugs are the ones you can buy at the drugstore/supermarket or are often given to security guys in the venues. Foam earplugs are cheap and you should only use them once. They do protect your ears, but the sound experience is terrible. Voices become extremely muffled, and everything is finished off with booming “fluffy” bass. They’re certainly safe, but arenít designed for you to enjoy the music. Wax balls are similar to foam earplugs as they completely seal off the ear canal and you get the feeling of being closed off from the outside world. You can get them from the pharmacy, but I never liked the feeling of them. It¥s difficult to insert them properly into your ear and youíll get sticky fingers. These are the most commonly used earplugs on the market. They completely seal off the auditory canal, but a filter system prevents the sense of being shut off from the outside world. This has the big advantage that these filter earplugs reduce the volume without sacrificing the clarity of the sound. It¥s like youíre dialing down the volume. Customized earplugs fit perfectly because they are produced using a mold of your ear. You can get a mold made at an ophthalmologist. They are the most expensive type of earplugs. The Eargasm High Fidelity Earplugs are using innovative attenuation filters and reduce noise evenly to maintain the full spectrum of sound while protecting hearing. Many of their models contain two shell sizes to comfortably fit most ear sizes and the discreet, low profile design make them nearly imperceptible to others. A complimentary aluminum-grade keychain carrying case is also included so that your earplugs are always within easy reach. Whether you’re at a concert, a musician performing with your band, riding your motorcycle, or numerous other environments, Eargasm Earplugs help you turn the volume down anytime you need it! Listen to my Podcast interview, with founder Ryan Parry here. Alpine Hearing Protection is a Dutch company that specialized in ear protection for musicians, children, travelers, water sports enthusiast, clubbers, motorists and people with sleep issues. The music Safe Pros are the only earplugs on the market that offers three exchangeable filter sets for low, medium and high protection while preserving excellent music quality. They are produced from a soft, flexible and durable material which the company refers to as AlpineThermoShape which due to the warmth of the ear adapts to the shape of the auditory duct. the Music Safe Pro comes in one size fits all only. Should the earplug be too big, you can easily adjust it to the right size. These earplugs won the Red Dot Award for their design in 2015. The Party Plug earplugs are the smaller brother of the Music Safe Pro and are a target to parties, clubbing and festival goers. They have the same design as the Music Safe Pro, but have only one filter set. Downbeats is a company based in Chicago, USA which is specialized in hearing protection for concerts. DownBeats don’t stop sound in its tracks instead, they filter sound, ensuring that the highest quality sounds are reaching your ears while the harsh noises and feedback are left out of the crowd. The silicon flanges mold to the ear canal for a perfect fit. The new ER•20XS is the highly-awaited next generation of Etymotic’s industry-leading ETY•Plugs® High-Fidelity Earplugs. ER•20XS ear tips are interchangeable. ER•20XS earplugs can also be used with foam ear tips with essentially no change in response. Music•PRO circuitry automatically changes output levels as sound input levels change. Hearing is natural as if nothing is in the ears until sound exceeds safe levels. As sound levels increase, earplugs gradually provide 9- or 15-dB sound reduction. Natural hearing is restored when sound returns to safe levels. Vibes are reusable earplugs designed for sound quality. Traditional foam earplugs are only decreasing the volume of high frequency (treble) sounds, but not low frequency (bass) sounds, which is what causes the sound that you hear to be distorted when you wear them. On the other hand, Vibes lower the volume of all sounds equally, from bass to treble, which allows you to hear the sound clearly, just at a quieter volume. Loop’s first priority was to improve the sound quality. Most earplugs sound bad because they block the ear. With Loop, sound waves enter via a small opening and pass through a hollow acoustic channel. It gives Loop its unique shape while making sure music and speech remain clear. EarPeace professional-grade hearing protection earplugs deliver crisp, clear sound at a safe volume. Medium, High and Max filters provide ear protection for concert noise reduction making them festival essentials. DUBS Acoustic filters are dynamic ear plugs engineered for sound fidelity. They use an intricate mechanical configuration to lower the level of the sound you hear while retaining the proper balance and clarity. The DUBS are designed for use in loud environments. Wear them at a concert, in a stadium, on a plane or around the city. Manufactured by the 50-year-old hearing aid company, and developed by their lead engineer – a musician for over 20 years – Earasers filter out loud noise while still allowing you to hear at a safe, comfortable level. The Earasers soft silicone design is based on one of the most widely used hearing aid tips in the market. The Smart Seal technology conforms to the shape of your ear canal for a more comfortable fit that you can wear all day. Earasers can be cleaned and reused, and when the silicone tip starts to get old, they can be “Renewed” with new silicone sleeves. The company states that their earplugs block all sound from entering your ears including bass frequencies for the first time ever without any batteries. So far only active earplugs were able to do this. The Isolates use a solid metal core (Aluminium or Titanium) that is almost all the way through the tip which creates a sonic barrier deep inside your ear to block noise. The only sound you hear while using ISOLATES is from bone conduction which results in an enjoyable and balanced experience with safe sound detail. Kyle Kirkpatrick is an Olympic level gymnastics coach, extreme athlete, and a tech nerd. But he was fed up with headphones because they wouldn’t stay in, sounded awful or hurt his ears. Kyle consulted audio engineers, material specialists and high-level athletes to develop and test hundreds of designs, formulas, and prototypes in order to create an easy and affordable custom molded earplug. In February 2012 Kyle created the worlds first thermo-fit custom earplugs and Decibullz was born. The Austrian family business Neuroth has been amassing experience in the manufacture of hearing protection systems for more than 105 years. All of this knowledge has gone into EARWEAR. And so has its unparalleled attention to detail. EARWEAR Intro Line Music reduces noise to a safe level: A range of linear filters – offering different insulation levels – ensures that you hear everything in proportion. Just a bit more quietly. The best idea is to arrange an appointment with a local Neuroth partner store to get an impression taken of your ears. Everything else happens on-site at Neuroth. You’ll work with a specialist to identify the hearing protection that is best suited to your individual needs and choose the best filter for you. You’ll be able to pick up your EARWEAR directly from the specialist a few days later (Europe only). The challenge of every ear plug manufacturer is to find the right fit for every user. The anatomy of our auditory canal is unique to us so it´s tricky to release a product that fits everyone. All ears are different. It’s impossible to predict the size of an ear canal by the appearance of the outer ear, or by a person’s physical size, age or gender. Manufacturers have designed different shapes of earplugs or provide different sizes from which you can choose the best fit. I want to make clear that an earplug that fits my auditory canal might not fit yours. However, by reading this review, you´ll get a good idea of what might be the best fit for you too. If you already use ear plugs that fit well in your ear canal, this review will help you with your choice of other earplugs. Double Silicone Flange: Alpine Party Plugs, Alpine MusicSafe Pro, EarPeace and Downbeats (both short and long stem) use a double flange form and are available in one size only. Both the Alpine and the Downbeats fit my ear canal comfortably and successfully block out the noise. Triple silicone Flange: Eargasm, Etymotics (ETY Plugs, ER-20XS, and Music Pro) and Decibullz come with a triple flange design. The Eargasm uses silicon triple flange tips and two sizes are included. One size of ear tips fit perfectly. For the Etymotics you have to select either standard or large fit with their ETY Plugs and ER-20XS models. The Music Pro set comes with 7 different ear tips to make sure you´ll achieve the right fit. From my experience, the large ear tips fit best in my ear canal. The standard size was too small and they didn´t remove noise completely whereas the large size ear tips fit perfectly. The ETY Plugs are built with a really long stem (where the filter is housed). It looks a bit weird when you wear them because 1/3 of the earplug sticks out of your ear. The ER-20XS are the updated model and are a bit more discreet as they’ve shortened the filter and you can only see the handle to insert and remove the earplug. The Decibullz are the IKEA version of custom molded earplugs. This means you have to do the molding process yourself. It might sound complicated, but it´s a fun way to get your custom molded earplugs in minutes in your kitchen. The package contains S, M, and L silicon flange tips, a pair of foam tips and two molds. You place the molds into boiling water, wait 5 minutes, remove them with a metal spoon, place the earplugs into your ear and gently shape the molds to your ears. After 5 minutes, the molds harden and are ready to use. The Dezibulls triple silicone flange size M fit my ear canal the best. The Intro Line (Earwear) uses silicon triple flange tips and M and L sizes are included. I chose size L and they’re comfortable to wear. Silicone Ball-head: Dubs are designed to fit a ball-head shape into your ear canal and come in a one-size-fits-all wheres Vibes offers three sizes of soft, interchangeable ear tips. LOOP offers two soft silicon ear tips. Personally, I found that the Dubs and the the LOOPs didn´t fit well and were uncomfortable to wear. For the Vibes I chose size M and they’re comfortable to wear. Silicone ear canal shape: The Earasers are formed to the shape of your ear canals and are available in sizes XS, S, M, and L. I tested M and L, but I was not able to get a comfortable fit compared to the double/triple flange shape. The L ones fit better and were usable. However, the noise was not blocked out completely and they were not as comfortable to wear over a long period of time. Foam tips: The foam earplugs from Moldex (Mellows, Spark Plugs) come in one size and are easily adjustable to use. They fit quite well and are comfortable to wear. The LOOPs also offer a pair of foam earplugs which fit my ear canal. The IsolatePRO Titanium also use foam tips which get placed onto the titanium stem of the earplugs. The Earforms (which is what the company calls the tips) are included in the sizes S, M and L. Interestingly, the small sized tips work best for my ear canal and they successfully blocked out the noise. Custom fit earplugs are the gold standard because they are custom molded to your auditory canals. I tested the Design Line by Neuroth, a company based in Austria. Here’s how it works. First, you have to get a mold taken of your ear canals by an auditory specialist. Then Neuroth will produce the earplugs and ship them to you. The fit should be perfect for your ears. Make sure that the earplug fits perfectly into your ear canal, otherwise you will still be at risk of damage to your hearing. There are 2 important questions for me as a concert photographer and music lover. First, do the earplugs protect my ears and second, what’s the sound like in the photo pit. As I mentioned, the safe and statutory limit to which the hearing may be exposed is 80 dB. Regular noise above 80 dBs will irrevocably lead to hearing damage. 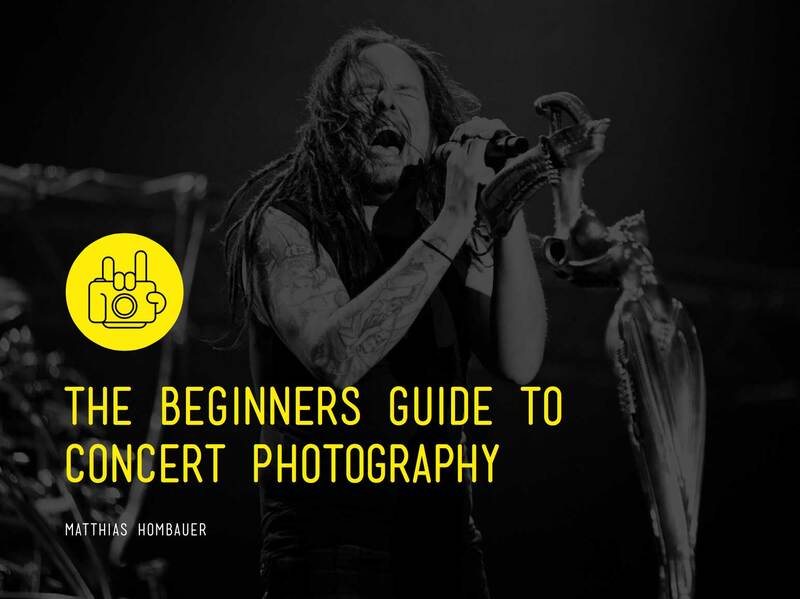 What does this actually mean for us as concert photographers? I wanted to get some real world data when in the photopit and so I used the app „Sound Meter“ on my iPhone to measure the Decibel levels directly in front of the stage. I measured the Decibel levels at the Thievery Corporation concert in a large concert hall, at the New Model Army concert in a smaller club and at the Asking Alexandria show in a bigger club. In all cases, I measured values of between 90 – 95 dB. There are 2 standards for determining the effectiveness of earplugs. SNR (Single Number Rating system, European standard) and NRR (Noise Reduction Rating, American Standard). This can easily get confusing as the different earplug manufacturers use either one of these standards. Therefore I’ll refer to the average dB values that get reduced by the earplugs. This data can be found on the manufacturers’ home pages or on the packaging of their product. Earplugs attenuate lower tones differently to higher tones. To understand that, you need to compare earplugs at different frequencies, using High (between 2000 and 8000 Hz), Medium (1000 and 2000 Hz) and Low frequencies (63 and 1000 Hz). However, my point is to give you an idea of how these earplugs can protect your hearing, so let´s keep it simple. Let´s assume you´re in the photo pit of a concert where you measure 95dB in front to the stage. You´re wearing earplugs which reduce 20dB of harmful high-frequency sounds. Thus, the acoustic pressure on your ears is on average 95 – 20 = 75dB so it´s safe to be in this environment for a long time. All earplugs I tested are suitable for concerts with an average sound level of 95dB (for the complete concert) and up to 110dB (110 – 15 = 95 dB for 10min in the photo pit). At this point, you might wonder why you shouldn´t just get cheap foam earplugs with -30db sound reduction. They will protect your ears even at a Manowar show at 130dB! I’ll tell you why. You want to use earplugs not only for protection but also because you want to experience the awesome sound from your favorite band when working in the photo pit. In addition, you still want to talk to colleagues in the pit without having to remove the earplugs every time. I strongly believe that if you have a great sound experience in the pit, your photos will be better quality as well. So, let´s have a look at which earplugs get the job done best. The following ranking reflects my own opinion and refers to the sound experiences I had. For me, it was important that I could clearly distinguish the different instruments and only experience a decrease in volume. Foam earplugs are really bad at attenuating lower frequencies. With music lacking bass attenuation, it´ll lead to a „muffled“ unpleasant sound experience. They are great to protect your ears (up to 32db), but are simply not built for a pleasant sound experience. Decibulls. The Decibulls don´t use filters in their earplugs (the newer model will include percussive filters) which result in them losing the high frequencies from the sound of, for instance, guitars. To be fair, Dezibulls are made to protect users from the peak sound pressure of gun shots, artillery fire, and explosions. So they’re not perfect to enjoy a good sound experience at a concert, as they’re not made for that purpose. The Alpine Party Plugs, Alpine MusicSafe Pro, Downbeats, Etymotic ETY-Plugs, ER-20XS, Music Pro, Eargasm, Vibes, LOOP, EarPeace, Earwear Intro Line, and Design Line, Earasers and IsolatePro earplugs effectively “turn down the volume” without affecting the sound experience. I’ve tested them over the last few months and am satisfied with the results I got in the photo pit. The sound experience is fairly subjective and it´s hard to tell which ones performed better. What I can say is that I could clearly distinguish the different instruments and I had no ringing in my ears after the concerts. So, all of the above did their job. Which are the best concert photography earplugs? The question is, which earplugs will work best for you as a concert photographer? There are dozens of earplug manufacturers on the market who claim they have the best product, with prices ranging from $2 – $299. Finally, here they are! My suggestions are based on the fit, protection, sound, and price of the earplugs. Here are my best choices in more detail. My number 1, entry-level earplugs are the Downbeats. There are two versions – short and long stem versions. I found it easier to remove the version with the long stems. They come in one size, and fit my ear canal perfectly. With a -18db sound reduction and a good sound experience in the photo pit, the Downbeats are a good choice if you´re on a budget. And you´ll get a metal case that keeps your earplugs safe in your photography bag. The Alpine Party Plugs are the smaller sister of the Alpine Music Pro. They come in one size and their fit and sound experience is similar to the Downbeats (with a -19dB protection). They’re a great choice if you`re looking for entry-level earplugs at a fair price. The ETY Plugs (and their successor, the ER 20XS) are the cheapest earplugs from Etymotics. They come in two sizes: standard fit and large fit and the question that immediately arises is: which size do I need? I tested the standard fit which didn´t fit well. The large size did it´s job, however they didn´t seal my ear canal completely. I found that most of the triple silicon flange earplugs didn´t fit me very well (with the exception of the Eargasm). However, with -20dB sound protection and the cheapest price in the ranking the ETY Plugs/ER 20 XS, are worth a try. 1. Eargasm $29.88 – TOP CHOICE! The Eargasms are my choice when it comes down to invest in advanced earplugs. They come in two sizes and are the only triple silicon flange earplugs that fit my ear canal perfectly. Their sound protection of -21 dB is one of the highest values in this price segment. In addition, you’ll get a cool little aluminum case which keeps your earplugs safe. Highly recommended. IMPORTANT: you’ll get -10% discount using the coupon code: htbarpear when checkout here. I’ve worn the Alpine Music Pros for the past few years and they’ve never let me down. They’re the only earplugs on the market that offer three exchangeable filter sets for low, medium and high protection. I use the last filter the most. With their double silicon flange, they fit perfectly and are comfortable to wear for a long time (I had them with me on tour). The Alpine Music Pro comes in one size only, have a sound protection of -16 to -18 dB and include a plastic storage box. If you want to invest in good earplugs, the Alpine Music Safe Pros are a winner (and also won the Red Dot Award 2015!). Read an in-depth review from my colleague Rui Bandeira here. The company is around for more than 10 years and the focus on concerts and musicians was definitely a clever idea. They even got Metallica as brand ambassadors. The earplugs are similar to the Alpine MusicSafe Pros but come in skin tone color which makes the earplugs almost invisible. Their double silicon flange shape fit perfectly and the earplugs were comfortable to wear. Check them out! Flare Audio are currently the Rockstars in the earplug market. The company raised $580.000 through a crowd-funding campaign (on Kickstarter) which is simply unbelievable in this overcrowded earplug market! Isolates have a solid metal core of Titanium (although they’re also available in cheaper versions made from Aluminium) which creates a sonic barrier deep inside your ear to block noise. The earplugs come with Earfoams in small, medium and large sizes. Interestingly, the smallest sized Earfoam fit me best. I tested them at the Asking Alexandria concert (95dB in the pit) and was surprised by their performance. The sound experience was great and I could clearly distinguish the different instruments, just at a lower volume. During the concert, I removed the earplugs to hear the difference and wondered how the girls in the first row could survive a 95dB blast without any ear protection! The Isolate Pro Titaniums feel solid and the Earfoams have a comfortable fit. Personally, they will become my go-to earplugs at future concerts. The Etymotic Music Pro automatically change output levels as the sound input levels change using batteries. As sound levels increase, the earplugs gradually provide a -9dB to -15dB reduction of sound level. The overall sound experience was superb and natural and the 7 different filter tips which are delivered with the earplugs, will ensure you’ll find the right fit for you. I used the triple flange shape in Large which fit my ear canal perfectly. The drawback of the Music Pro is the amount of work you have to go through to enjoy their benefits. As they’re active earplugs, they need #10 batteries (1.45 V and 180 mAh) to work. The earplugs don´t have an “on/off” switch, which means you either have to remove the batteries from their compartment in the earplugs or open the small battery door to interrupt the power supply. I lost one of the batteries in the photo pit when I took the earplugs out of their case one time because the battery compartment was open. I also found that the batteries died after 2-3 concerts. The batteries are cheap, but I simply don´t like the way the earplugs work. Yes, the Music Pros are great earplugs and they do a great job, but you have to keep in mind that they’re more cumbersome to use than others on the market. Read an in-depth review on F Stoppers here. Read an in-depth review from my colleague Sean Molin on F Stoppers here. Custom-fit earplugs might be the best option available, because they are custom-molded to your auditory canals and, as a result, are often used by professional musicians. However, the procedure involved in getting them is also more complicated compared to other earplugs. First, you have to go to an auditory specialist to get a mold taken. Then the manufacturer will produce your unique earplugs (you might also be able to print your logo on them, which is pretty cool!). If they fit perfectly, they’ll last a lifetime. At the end of the day, it doesn´t really matter which brand of earplugs you’re wearing, it´s more important that you´re wearing earplugs! My suggestion is to invest in earplugs that fit your ears perfectly and do the job they’re supposed to do. If they happen to be the cheap Downbeats, Alpine Party Plugs, or Etymotics ETYPlugs/ER20XS, just wear them. If you want to have the flexibility of changing filters and experiment with the sound quality, get the Alpine MusicSafe Pros or the very good Eargasm (IMPORTANT: you’ll get -10% discount using the coupon code: htbarpear when checkout), and if you’re not bothered about the budget to get great sounding earplugs, get the Isolate Pro Titanium. In my opinion, there’s no need to spend $300 for earplugs that you´ll mostly not wear for longer than the first 3 songs of a concert. Keep in mind that you can easily lose the earplugs in the photo pit. I’ve lost an earplug in the darkness a couple of times when getting them out of my photo bag. If it’s a $15 earplug, it´s fine, but you definitely don’t want to lose a $200-300 product! Give yourself a healthy gift and get one of the above – your hearing matters! Let me know your earplug experiences in the comments.